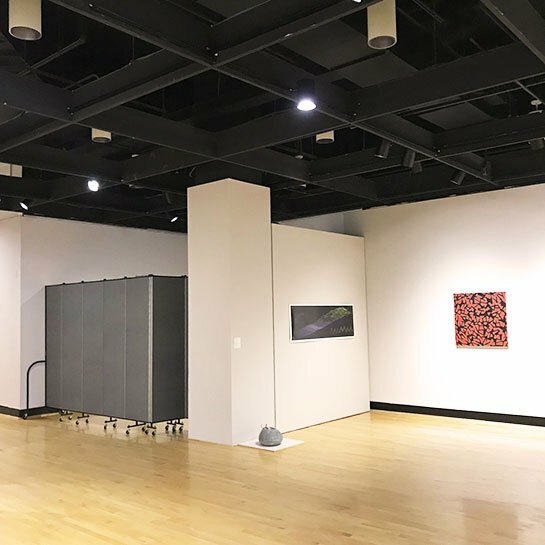 Uses: Museum Colors: Gray/White Lengths: 9 panel 16'-9" Heights: 7'-4"
Screenflex customer, the University of Maryland Art Gallery, is constantly updated art exhibits to showcase new student artwork in their gallery. 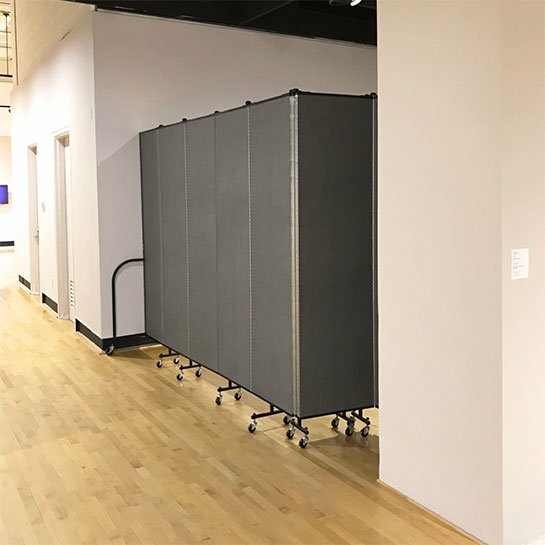 The gallery team wanted a way to create privacy when setting up a new art show space so they would not disturb gallery visitors. Gallery employees are so pleased with how their Screenflex temporary walls perform. Not only do they provide the necessary privacy, but they absorb sounds that may travel throughout the gallery. Employees have also expressed how easy it to move the temporary walls throughout the art display facility. The folding partition walls roll on self-leveling casters, can be arranged in various configurations to divide the space, and are tackable to display artwork or relevant information.